hahahahahahahahahaha. Totally absurd and so much fun. 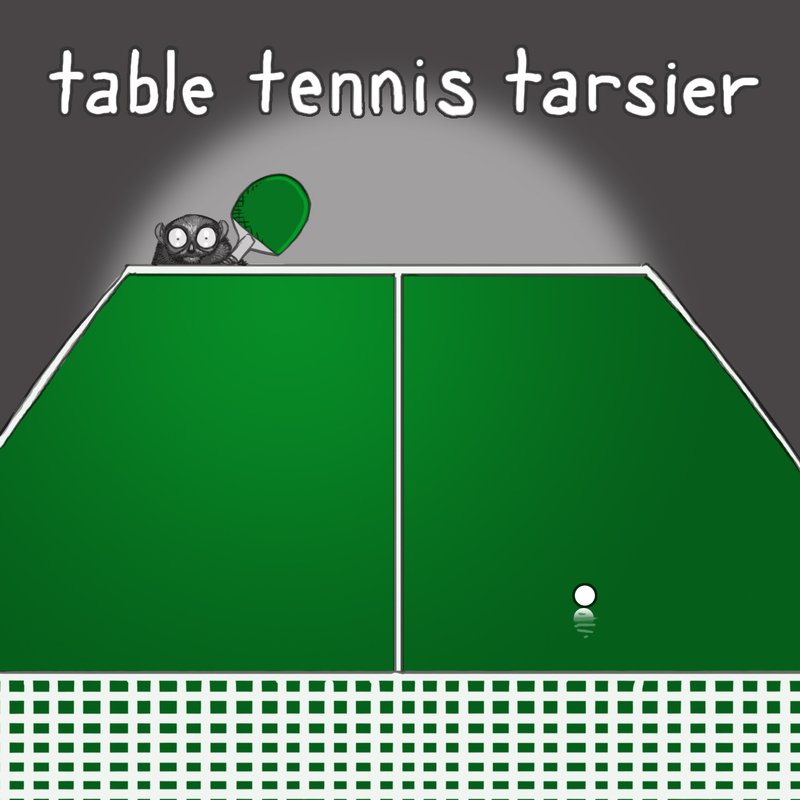 I love table tennis tarsier! Mostly because of the alliteration. But we call it ping-pong at our house. Ping Pong Tarsier is a pretty sweet title too. I like that. I love this one so, so much. Please make it for real. Please. This is my favorite so far. It's sort of freaky. And appealing. And I want to read it.